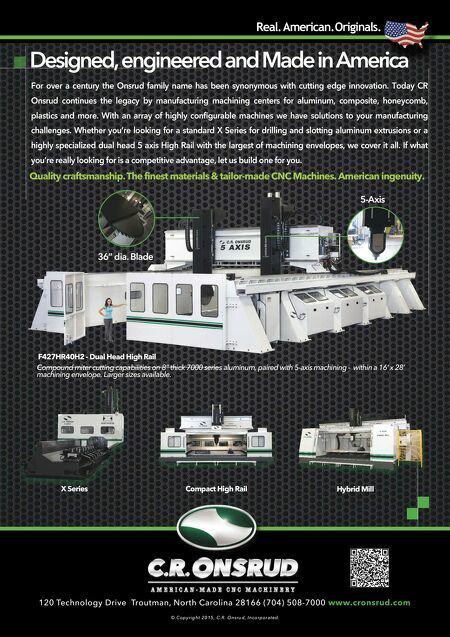 98 MMS December 2016 mmsonline.com BETTER PRODUCTION Shops Using Technology MCGILL MACHINE WORKS PROBLEM Rough-milling operation destroyed cutting inserts SOLUTION Di-Pos Hexa high-performance face mill from Ingersoll Cutting Tools RESULTS Improved tool life, boosted throughput E D ITO R E M I LY PRO B S T, e p r o b s t @ m m s o n l i n e.c o m I nser t rupture is devastating to productivity, especially under the pressure of a recently d o u b l e d o r d e r. R i c h B a u e r, m a n u f a c t u r i n g Retooling Improves Rough-Milling Operation, Saves Money McGill Machine Works improved rough milling on difficult D-2 stock with new Ingersoll Di-Pos Hexa face mills. Tool life improved, throughput rose 80 percent, and operation runs more quietly and without the mess of cutting fluids. 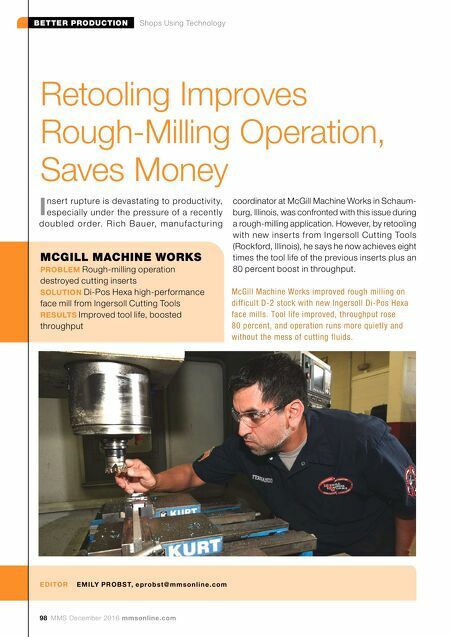 coordinator at McGill Machine Works in Schaum- burg, Illinois, was confronted with this issue during a rough-milling application. However, by retooling with new inser ts from Ingersoll Cutting Tools (Rockford, Illinois), he says he now achieves eight times the tool life of the previous inserts plus an 80 percent boost in throughput.